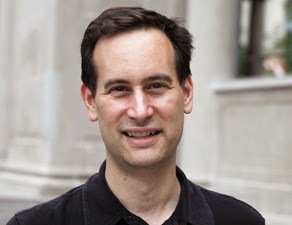 David Levithan (born 1972) is an American children's book editor and award-winning author. He published his first YA book, Boy Meets Boy, in 2003. 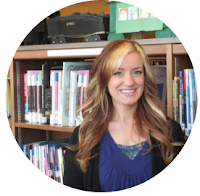 Levithan is also the founding editor of PUSH, a Young Adult imprint of Scholastic Press. At 19, Levithan received an internship at Scholastic Corporation where he began working on the The Baby-sitters Club series. Levithan still works for Scholastic as an editorial director. Levithan is also the founding editor of PUSH, a young-adult imprint of Scholastic Press focusing on new voices and new authors. PUSH publishes edgier material for young adults and is where Patricia McCormick got her start with 2002's Cut. I had seen this book on the end caps at Barnes & Noble all year long. The premise sounded highly intriguing: undefined wandering soul travels from body to body every single day and never repeats the same person twice. One day, they awake in some dude's body and fall obsessively in love with his girlfriend, and thus, the plot thickens. The wandering soul calls themselves A, and the girl's name is Rhiannon. The fascinating part about this whole thing is that A has no consistency. A is not defined by their gender, hair, eyes, height, or anything else. A can't even have a cell phone number because there's no way for them to keep track of it. The only way to reach Rhiannon is email. Until this point, A just went through motions trying to give their host another normal day so it wouldn't be suspected that they had basically been "possessed" for 24 hours. However, once Rhiannon enters the picture, things change, and A is no longer satisfied with the inconsistency. Aside from the fact that it's really hard not to use pronouns while talking about this book, it was incredibly interesting to step outside of societal roles and experience the world from the point of view of someone who was first of all, gender neutral, but also had to live a life with no true stability. It raises a lot of interesting questions, such as: What makes a person? Is it the way they look, the family they are raised in, the kind of trouble the stay in or out of? Is it their addictions, depression, lack of self control? And what is love? Can you truly love a person if their image changes every day? Is physical attraction and familiarity as important to loving someone as we think it is, or is it actually a supernatural occurrence between two souls? This book really makes you think. 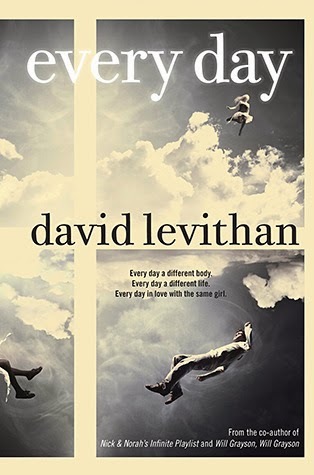 I liked how Levithan chose to put the reader into the minds and bodies of different types of people. He communicated the thoughts and feelings of people who struggle with drugs, suicidal thoughts, obesity, and even those who live sheltered lives. In my opinion, it was a great opportunity to cover such subjects and lifestyles. And it's entirely realistic that A would wake up dealing with people who were experiencing these things. It added to the story so we weren't just reading about his obsession with Rhiannon the whole time. It seems a handful of people were completely disgusted with this book and felt like A violated other people's lives (and this is kind of a spoiler, so beware). Honestly, when I saw the reviews I thought A went "too far" with Rhiannon or something, but they didn't. If you think about it, what would you do in that situation? 16 years of never having your own life. Of never being surrounded by people who love and know you. You are always a stranger, and you are always different. Every single day for 16 years, you're alive, but it's like you're a ghost because no one knows that you exist. What would you do?? I'm surprised they made it 16 years! You have to have some inhumane amount of maturity and self-control to continue living like you were never even born, especially when love is mixed in the picture. I probably would've liked this book less if A was given the supernatural ability to just "respect" their owners. That would have made a really boring book, too. The only major thing that I did not like about this book, was that although it had a lot of interesting things to say about gender-neutrality, there were moments I felt like the author was trying to force their opinion at the reader by A forcing their way of thinking toward Rhiannon. When Rhiannon was having trouble accepting that A was neither male nor female, A would think things like "so we need to fix her way of thinking." It's one thing to want her to accept gender neutrality, but it's another to basically say something is wrong for a straight person to be straight and want to continue being straight. That's the same as all the controversy about trying to force homosexuals to be straight, so I feel like Levithan missed the mark here. And it wasn't done very well, either...because I felt like I wasn't reading the story at that point. It just felt like the author's opinion. So altogether, I thought this book was absolutely amazing. It's definitely a fresh premise that offers a lot of deep thinking and perspective. It's also a very easy and fast read. I was doing a little research and it looks like Levithan might be releasing a second book from Rhiannon's perspective. There's a lot of controversy as to whether this is a good thing or not, but I guess we'll see!